the upmost care and diligence. Stephen Wawn & Associates is a boutique law firm located in the Eastern Suburbs of Sydney, established in 1974. 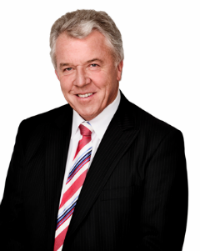 Since 1974, Stephen has practiced as a Lawyer at Edgecliff, New South Wales. Stephen acts for a wide range of clients including individuals, small businesses, developers and large corporations. His broad-skill set, appreciation for the law, and dedication towards providing the highest quality legal advice underpin the core values and culture of Stephen Wawn & Associates. Stephen Wawn and his professional team of lawyers are dedicated toward providing personalised, high quality advice and representation. Call us now to discuss how Stephen Wawn & Associates can assist you. Our boutique size coupled by a well-resourced office ensures that your legal representation is personalized, flexible and is of superior quality. In conjunction with aiming to be astute, efficient and responsive, we are committed to ensuring our fees are competitive and are of good value.